A full line of OEM quality replacement CO2 laser optics for plaque and trophy engravers that are suitable field replacements and shipped overnight is available from Laser Research Optics of Providence, Rhode Island. Laser Research CO2 Laser Optics are optimized for 10.6 µm where depth of field is critical and meet or exceed OEM and ISO-10110 specifications for optical elements. 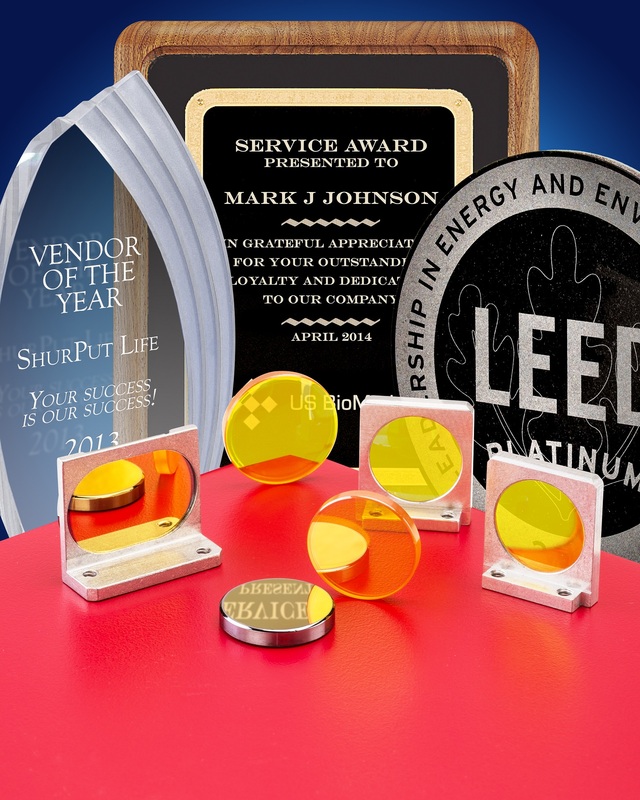 Ideally suited for Camtech®, Emission Technologies®, Epilog®, Ferba®, GCC Laser Pro Engravers®, Gravograph®, Jamieson Lasers® Kern®, LST Lasers®, Pinnacle®, Synrad®, Trotec®, Vytek®, and Universal® lasers, these laser optics help keep plaques and trophies looking sharp. Supplied stand-alone or mounted, Laser Research CO2 Laser Optics feature focal lengths from 1” to 25”, in 1/2” increments, and the mirrors are made from silicon and copper in 1/2” to 3” dia. sizes 2 mm to 10 mm thick. Total absorption values are < 0.2%, surface quality is 40-20 scratch-dig, and sphericity is < 1/40th wave. Laser Research CO2 Laser Optics pricing is available at (888) 239-5545 or www.laserresearch.net and shipment is from stock with overnight delivery.